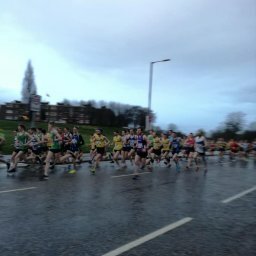 The Northern Ireland junior, intermediate and veterans cross country took place today at stormont with firm conditions underfoot due to the frosty weather. 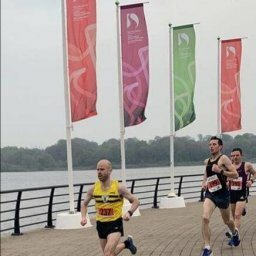 Highlights of the day for North were Cathy’s victory in the ladies vets race, team bronze in the mens vets race and Conor Magill’s fourth in the junior race. First up were the vets. We had a strong team in with good medal prospects. 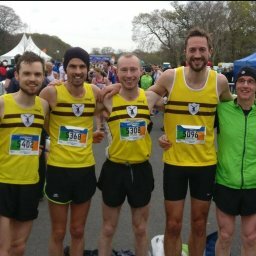 Eamon White finished 7th, Neil Carty 11th,Michael Fitzpatrick 14th, Laurence Johnston 29th, John Patience 31st, Jim Newberry 47th and Greg McClure 68th. The team finished with a bronze medal overall. Next up was the ladies and over 65 race. Cathy McCourt went into a lead, which she was never to relinquish, from the outset and won comfortably. Amanda Perry, Louise Smith and Geraldine Quigley also had strong races to finish 7th, 12th and 15th respectively in the ladies vets race. Last up was the male junior and intermediate race. Unfortunately we were unable to get a team together but there were some strong individual performances. Conor Magill, in what was a strong field, finished 4th. Alan O’Hara, despite not being fully over flu, finished 13th. Darryl Blair in his first cross country, and after he settled down from his early lead!,finished a very credible 19th and new member Alan Ritchie finished 25th.